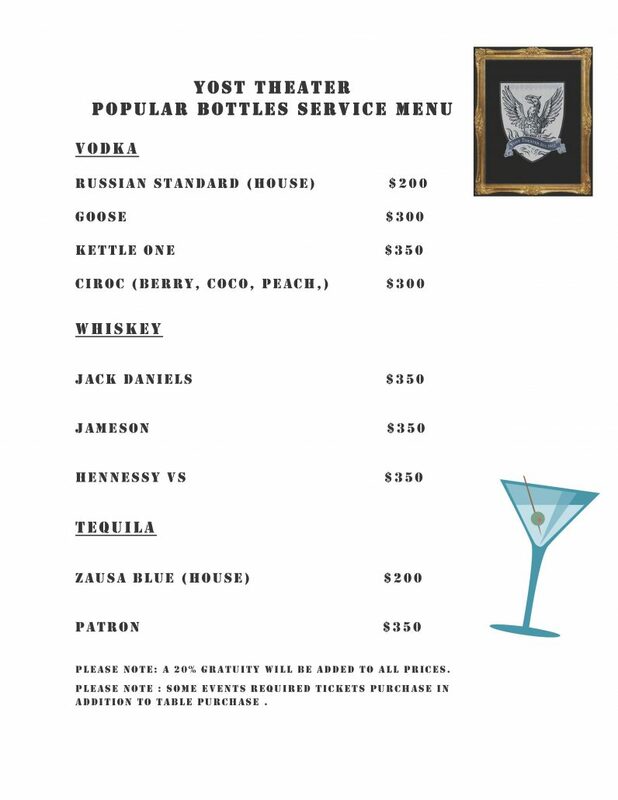 How much is table service at Yost Theater? 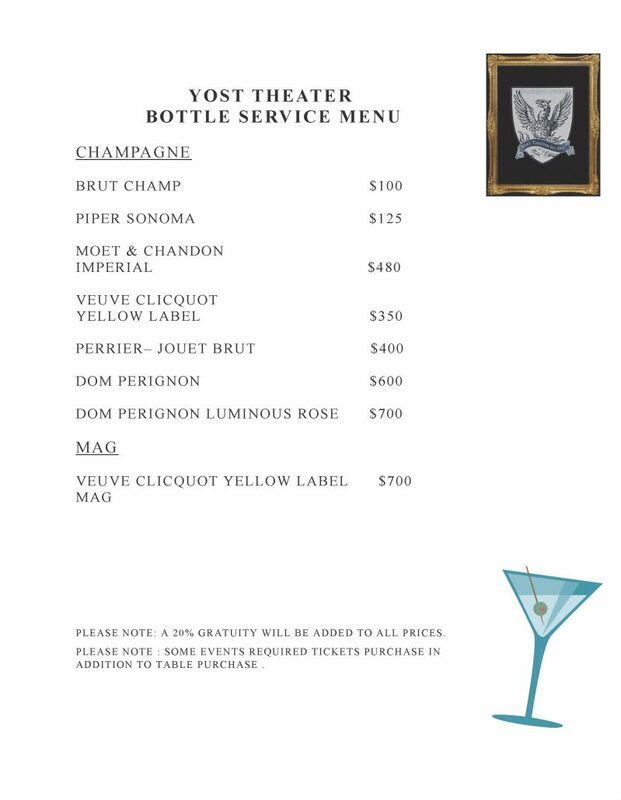 Which is the best table at Yost Theater? The tables closer to the DJ booth are generally the best (and most expensive) tables in the house.